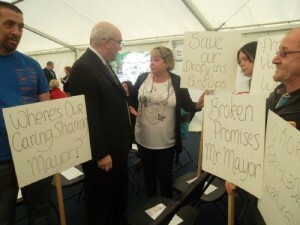 ‘Judicial Review’ : Is the demand of Ancoats Folk At Heart ! In June Urban Splash won minded to approve consent to demolish the Grade II-lised Ancoats Dispensary building despite opposition from locals and SAVE. Salford Unite With Manchester Service Users at the Labour Party Conferance ! 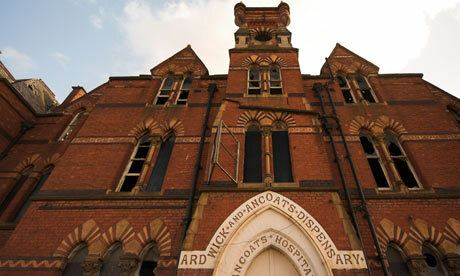 The Ancoats Dispensary is the only Grade II listed building remaining in the Area ! In July 2011 the Developer Urban Splash applied for Listed Building Consent to demolish the Grade II listed building known as the Ardwick & Ancoats Dispensary situated on Old Mill Street Ancoats Manchester. 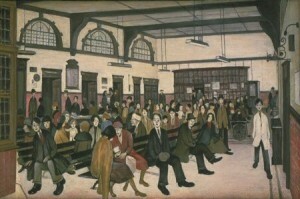 The Dispensary is the only Grade II listed building remaining in the area following the closure of Ancoats Hospital in 1989 followed by it’s demolition. In June 2012 of this year a decision was made by the Manchester City Council Planning Department to approve the demolition subject to the signing of a S106 agreement in relation to the re-use of the agreed heritage elements of the Listed Building in any future development of the site and referral of the application to the Secretary of State. However after having managed to obtain deferment of this decision on at least two occasions members of Ancoats Residents Forum felt so strongly about saving this important building, they decided to challenge the Planning Department’s decision and form a campaign group to raise awareness not only within the local community of Ancoats but throughout the whole of Manchester about why this Grade II listed building should remain protected. I’m Gillian. I’m the campaign secretary. And I’m quite annoyed. This raises a smile; everyone here is more than annoyed. The room is filled with people of all ages and backgrounds who are very angry. Angry and passionate about preserving the Grade II listed building in East Manchester. 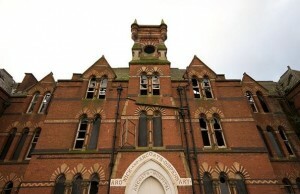 Ardwick and Ancoats Dispensary, once a beautiful redbrick Gothic temple to public health but now facing demolition. Manchester city council’s planning and highways committee has signed what councillors believe will be the Dispensary’s death warrant.